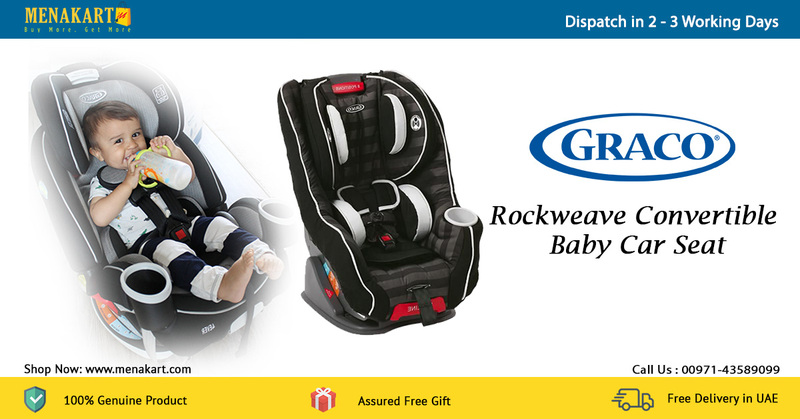 For your new baby, Graco’s 1872035 Size4Me 65 Rockweave Convertible Baby Car Seat is an excellent choice for long trips. It is designed to help protect your infant. It has a load capacity of 4 to 40lb in the rear facing car seat position, and from 20 to 65lb when in forward facing child position. Baby Car Seat easily grows with your child with its Simply Safe Adjust harness system automatically adjust both the harness and head rest height. This convertible car seat also offers the excellent InRight LATCH system for one second LATCH attachment. The Graco Size4Me 65 Rockweave Convertible Baby Car Seat features EPS foam for effective impact energy management, a removable head/body support, and three recline and two buckle positions to keep your child snug and secure. This seat is Safe Seat Engineered, which means it is crash tested and side impact tested. It’s easy to keep this car seat tidy, thanks to the machine washable seat pads. Graco also makes it easy for you to get your little one in and out of this car seat with a 5 point, front adjust harness. Available in black, this Baby Car Seat matches any car's interior.